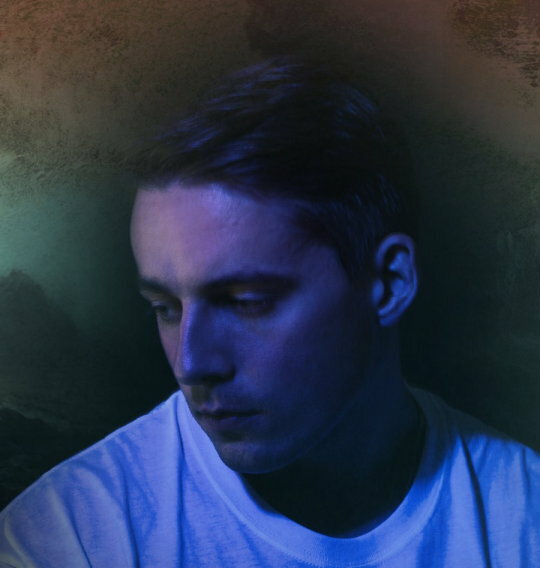 Just like the rest of us, Dermot Kennedy strives for a healthy balance in life, love, and music–but he does so in a very different way. The Irish singer/songwriter strikes an utterly captivating equilibrium by thoughtfully merging two absolute extremes, both sonically and lyrically. It is a profound talent that has fueled his journey from his self-titled debut album to his upcoming Coachella 2019 performance, and this journey is one we are fortunate enough to have watched unfold before our very eyes. Kennedy encapsulates notions of love and heartbreak, bliss and sorrow, life and death, and other fiercely opposing forces–often juxtaposing the two from one line to the next. Hence, his debut EP was properly titled Doves and Ravens, featuring the standout track “Glory,” in which Kennedy brilliantly proclaims he’s learned that “doves and raves fly the same.” While his lyrics maintain the depth of a poet and the composition of a seasoned singer/songwriter, Kennedy’s true flair comes in with the addition of unexpectedly urban-leaning production. The contrast between impassioned vocals, stripped back guitar chords, and hip hop beats allows for a highly universal appeal, and that appeal has certainly manifested itself in millions of monthly Spotify plays. 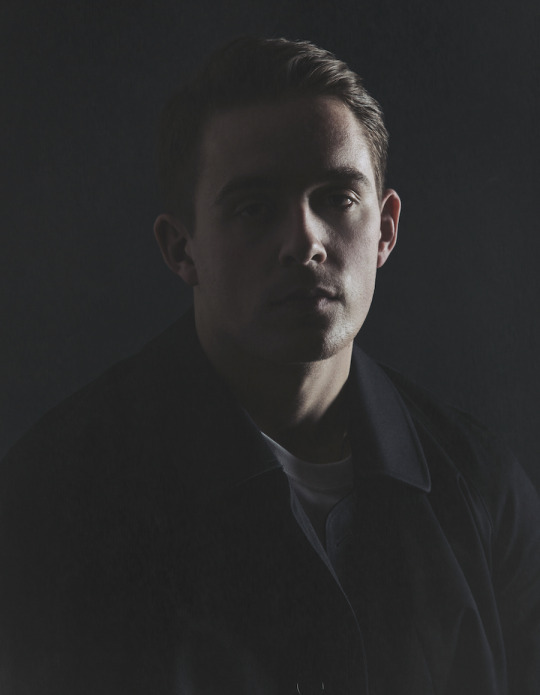 Following two sold-out headline shows in Los Angeles and New York City, we chatted with Dermot Kennedy about his emergence as a solo artist, the creative process behind Doves and Ravens, and his ultimate goal as an artist. OTW: Let’s get started! Does your name have any special meaning? DK: It means “free man.” It’s an Irish name. OTW: Cool! Do you resonate with it? DK: Yeah, for sure. My mother was very aware of what it meant–there’s some big story about how Dermot fought and died trying to save some woman. That’s terrible knowledge of what it means, but the name Dermot means “free man” essentially, which I really enjoy. OTW: Back to the early days, was there a specific moment when you realized music is it? What drew you into it? DK: What drew me into it was when I was ten years year old. My cousin played guitar at a party, and he was very good, so I got a guitar and started playing. That was the very beginning. I started to fall in love with music by David Gray, Glen Hansard, songwriters, and it grew from there. Playing football was just as important to me. I was a kid thinking I was going to be a footballer until I was 14 years old, and then you realize you actually have to be very good to do that. It wasn’t like, “I need music in my life and this is what I am going to do definitely.” I think that happened when I left school, which was when I was 17 years old–I realized I definitely was going to do it. We have a thing at home called CAO, which is the form you fill out with your intentions for college and what courses you are applying for and my mother did it for me, because I had no intention of doing anything college-wise. I just wanted to write songs and move forward in that way. I put one course on it and it was a classical music degree. Then it’s swiveled down to an exam and then after the exam swiveled down to an audition. Only 20 people get in…I got in but it was the only course I put down on the form! I’m glad I did it, but I was not the one who made me do it. OTW: After college, what steps did you take to get started? DK: Well the class turned out to be super classical and the people there wanted to be conductors and composers. So two of us started playing music together and formed a band while I was in college. Before college, I was doing things under my own name, doing gigs, releasing music, and we started playing together in college and it got weird, because we were nineteen/twenty, and it was my name on the poster, and we were all really good friends. The wheels were already in motion in that way. When I left college, in 2012, I kept doing it. Two years ago, the band split up and I’ve been doing my own thing since. DK: It was over the course of a couple years. He organizes this big busk at home every Christmas Eve. Bono’s played it. Glen’s the leader of it, and he’s an incredible person. He’ll be on the street for five hours on Christmas Eve just playing songs. Everyone comes together for that, and our main street is just rammed with people, because now it’s the thing that everyone knows about. One of the first years I went into town, and basically a ton of people show up with guitars because they know it’s a thing and no one is going to stop you–and I was one of them. But he was a hero of mine so I was crazy determined to play with him and just spend time with him. We played a song together, this Bob Dylan song called “You Ain’t Going Nowhere,” and he played the first verse and I knew it because I learned his version of it, then he turned to me to play the second verse, and that was like a dream moment. And so I played it and that day just went on. We played music for a few hours. There were about 20 of us, but in every photo it’s me besides Glen, with my guitar, glued to him. I was like a leech to Glen Hansard that day. And then a friend bumped into him at a venue in town a couple years later, and he remembered me. So he gave his number to my friend and said, “Tell him to give me a shout,” so we could talk or hang out. I was recording at the time so I wanted to invite him down to the studio to listen to what we were doing, and he couldn’t make it because he was on tour. We went back and forth over the course of two or three years. Finally he was like, “We’re doing a gig in Vicar Street,” which is quite a big venue, 1500 people I think, and he said, “Do you want to jump up on the stage and play during the gig?” So I played a song with his band. He’s a really special person and so that was really special, that moment. OTW: What did you sing? OTW: What happened after that? OTW: Wow, what words of wisdom. DK: Yeah, he’s a good friend. OTW: So your most recent EP was Doves & Ravens. What’s the explanation behind the name? DK: It’s not super complex. It was a line in one of the songs, “Glory,” and I often find it hard to pin a song under one thing, and it can alternative from verse to verse or even line to line. For me, there was some good and some bad in my life that took place, and I definitely drew on both for the songs. Sometimes I find, personally, there might not be a ton of consistency in terms of the idea because it jumps back and forth. It gives it a nice balance in terms of the light and shade, and in terms of good and bad. Even in the production, with it being pretty songwriting thing versus this weird urban production, that’s happening now. “Doves & Ravens” was a good representation of that idea to me. OTW: So you said good and bad, but what is it that’s bad and good? DK: To start with the bad, I just lost someone really close to me, someone passed away. Not to get too detailed, but it was someone who was close not just to me, but my family. So that was really bad. Then in the midst of that, not long after, I fell in love, very much fell in love. So that was a nice balance. OTW: This EP is the first time you introduced urban and hip-hop elements–what inspired that contrast? DK: I was talking to someone about it recently, and they were saying the hip-hop world is the happening thing right now. Like Kanye West says, “rap is the new rock n’ roll.” And for me those guys are the most creative, most exciting, and the most shocking at times, but at least they are being interesting. That’s what I listen to a vast majority of the time. OTW: Who do you like? DK: It started with Drake. I’m not ashamed to say that. It’s so good sometimes. I went to see him in Dublin recently, and songs like “Tuscan Leather” and “Worst Behavior” have really strong lyrical character–that’s why I think he is incredible. I went into the studio with Kerry, who I work with in London–he’s like my guy. He’s really tuned in musically and he played me this X Ambassadors song called “Love Songs Drug Songs,” and it basically mixed guitars with heavy beats. I just thought it was a really cool sound. So we kind of worked off that. I played him an acoustic I had written–“A Closeness” from the EP. We put this beat on it, and it was so exciting when it happened to mix a raw guitar sound with that. We continued to do the same thing in “Glory” and the other ones. I’m glad I did, and if I’ve done my job correctly, then the acoustic side of things hasn’t been lost, and the songwriting hasn’t been deterred by this production. That’s what I’m trying to do. Have the music be great and build a good track, and also not lose why I started music in the first place. OTW: Who are some Ones To Watch artists on your list? DK: There’s a guy that I think is really great called Ciaran Lavery from Northern Ireland. He is a songwriter in its truest form. He just has a guitar and plays the keys sometimes and writes these really beautiful songs. He’s probably number one for me. There’s another guy from Dublin called Eden. I remember a couple years ago, he tweeted a video of mine, and it turned out he was from Dublin, and I was like, “who is this person?” There’s tons of good music in Dublin, but a lot of it is quite contained in Dublin. So I was seeing this guy with this outrageous following, and I thought how come I had never heard of him before. I went to go see his show in Dublin, and he came to see mine. He’s a very talented man. I could go on about bands in Dublin. There’s a band called Overhead, The Albatross. They are the one act from Ireland that I would make sure to see every time. They’re an instrumental band. The energy is very cool. OTW: So what have you been up to recently? DK: The first show in LA was a headline thing and it sold out, which is amazing. Then Bonnaroo, came back to play School Night, and headed to New York for another sold out how. Couple of festivals for the next couple months and then going to go from there. It’s time to start thinking of an album for me, which is super exciting because I’ve got the songs, but I want to be in a scenario where I have space to do the best thing I can. And we’ll do more shows because the London one was the best one, sold out real fast and it was about 400 people. Spotify is going crazy well, but until you do shows, you don’t really know if those people are people who are hearing it are people who are going to turn out for you at the gates. We don’t really know how far we can push it. OTW: Do you think it all started from Spotify? DK: Yeah. In April of 2016, Spotify started playlisting, and it went from getting 10 plays a day to whatever it gets now. OTW: What would you say is your ultimate goal as an artist? DK: I’d find it hard to restrict it to one thing. To have a song used in a major movie would certainly be a “pinch yourself” moment. To be less specific about what it is, I think ultimate goal is to make music that is respected by everyone, to be “successful,” but not lose the respect of the super talented musicians I went to college with. OTW: So not a sell-out? DK: Exactly! But I don’t see that as potentially hindering things either. I want to do both–make stuff that is respected by music purists, but I also want to go do amazing things. I think both is possible. You could go to a Bon Iver or Frank Ocean show, and the people are dying to see that person, and not necessarily the person, but to hear their music and form a connection is really special. I’m starting to feel it, like London with all those people there, and it felt weird. The words you wrote to mean things to these people, and to be packed into that room together, is so special.